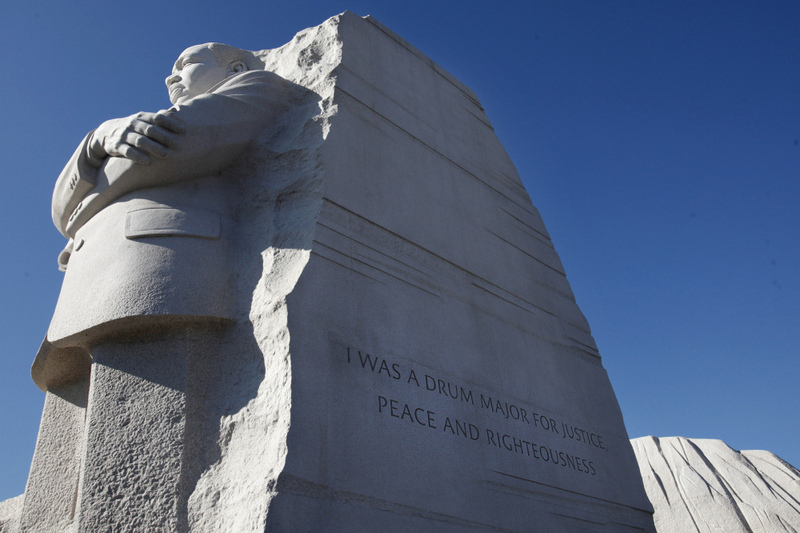 Quote On MLK Memorial To Be Fixed, But How? How do you change something that is literally set in stone? 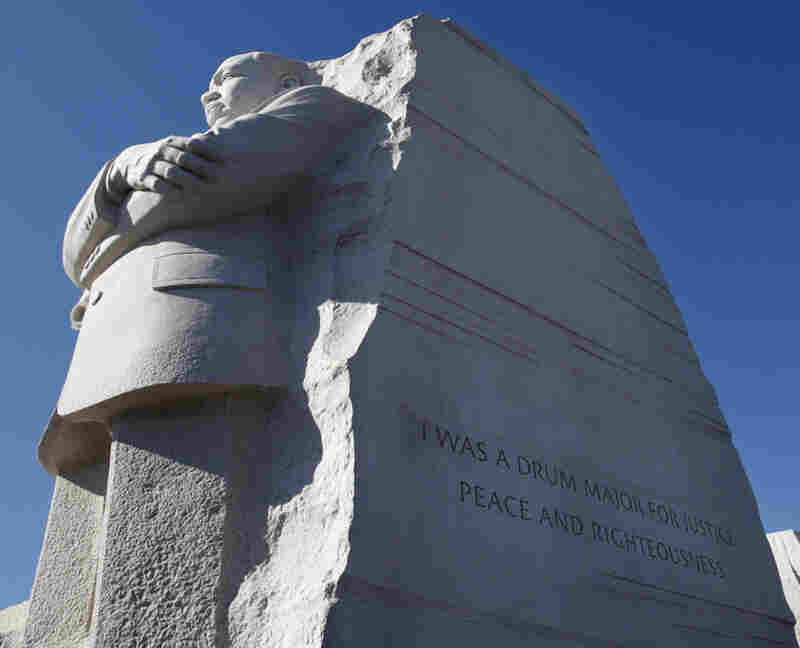 That's the question the architects of the Martin Luther King Jr. memorial are asking themselves after a paraphrased quote carved into the monument sparked a barrage of criticism. Not long after it was unveiled in 2011, controversy erupted over the Martin Luther King, Jr. Memorial. Critics argued that one of King's quotes had been paraphrased in a way that altered its meaning. In January, Interior Secretary Ken Salazar announced the mistake would be fixed. How do you change something that is literally set in stone? 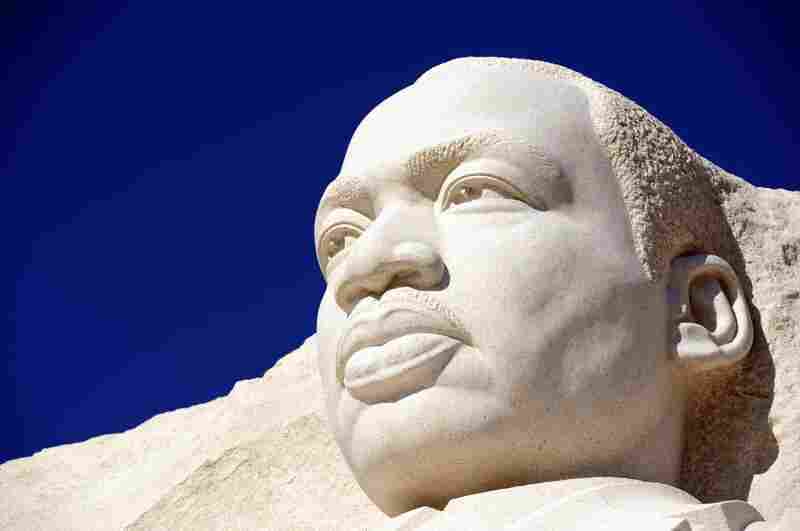 That's the question the architects of the Martin Luther King Jr. memorial are asking themselves. One of the quotes carved into the statue was taken out of context, and after a barrage of criticism, U.S. Interior Secretary Ken Salazar announced in January that the mistake would be fixed. The quote in question — "I was a drum major for justice, peace and righteousness" — was paraphrased from a sermon King gave at Atlanta's Ebenezer Baptist Church in 1968. In many ways, the sermon is about human nature. "There is deep down within all of us an instinct," King said. "It's a kind of drum major instinct — a desire to be out front, a desire to lead the parade, a desire to be first." King said that when this instinct is not "harnessed," it can lead people to seek material gain or become racist or even start wars. But he also said there are "drum majors" who use their ambitions for good, in service to humanity. King said even Jesus believed that the desire for recognition was necessary in order to lead: "He said, 'Yes, don't give up this instinct. It's a good instinct if you use it right.'" Toward the end of the sermon, which was given just two months before he was assassinated, King talked about how he'd like to be remembered: "Yes, if you want to say that I was a drum major, say that I was a drum major for justice. Say that I was a drum major for peace. I was a drum major for righteousness. And all of the other shallow things will not matter." This was the quote that was originally intended for King's memorial statue on the National Mall. But in the construction process, the decision was made to truncate the statement to: "I was a drum major for justice, peace and righteousness." Ed Jackson, the chief architect of the memorial, believes the abridged version captures "the essence of the statement." He says the sculptor and the engraver felt strongly that, because of space limitations, fewer words should be used on the statue. The quote was carved into the side of the statue — "I was a drum major for justice, peace and righteousness" — was truncated to accommodate space limitations. Maya Angelou said the abbreviation made King sound like "an arrogant twit." Another reason they abbreviated the quote, according to Jackson, has to do with the overall experience of the memorial. Visitors to the site walk along a long wall engraved with much longer quotes from King. Then you arrive at the statue, which is called the Stone of Hope. "By the time the visitor engages with the Stone of Hope, the profile of Dr. King, they're beyond the point where they're interested in reading a lot of detail," Jackson says. He says the architects wanted to allow visitors the chance to "focus more on the art piece itself." Last August, The Washington Post ran an opinion piece arguing that truncating the quote changed its meaning, making Dr. King sound boastful. Maya Angelou went further saying the quote made him sound like "an arrogant twit." Interior Secretary Ken Salazar recently instructed the National Park Service — which will maintain the memorial — to fix it. "The abbreviated quote lost the significance of that statement," Salazar says. "Dr. King's family all agreed: They didn't like the quote as it had been abbreviated. Members of the civil rights community and many others we consulted with were all in agreement that the quote had to be changed. So we're going to do it." But just how they're going to do it hasn't yet been decided. Nick Benson, who engraved the quotes on the King memorial, declined to be interviewed. Benson is a third-generation stone letter carver and a MacArthur fellow. His work can be seen at the FDR and World War II memorials. It took Benson and a team of five assistants about three months to chisel the quotes on the MLK memorial. Andy Uhl, a stone carver at the National Cathedral, says Benson is highly respected. "The letters Nick does are like faceted grooves in the stone and when the light hits that, it's powerful," he says. Uhl says there are likely two options when it comes to fixing the quote. "I think their options are: To reduce the surface back and recarve, or maybe take out the whole section and install it with matching material and then carve that installed panel." But matching the stone will be difficult even if the replacement comes from the same quarry, Uhl explains. "Once something is designed to look a certain way, changing it is always a compromise." Some visitors to the MLK memorial seemed perplexed by the need to change the quote. Yolanda Conner of Dallas says she's just fine with the "drum major" quote the way it is. "A drum major is a leader," she says. "He represented peace. Why wouldn't you want to follow someone who represented peace?" Janine Gordine, a visitor from Camden, N.J., believes the quote was taken out of context, but she does not think it needs to be fixed. "Sometimes we make controversy when there doesn't have to be controversy," she says. "I just don't think it's that important. It shouldn't take away from this beautiful monument. It shouldn't take away from all that he did, and all that he said, and all that he was to America. Leave it as it is." Gordine says if people want the full context of the quote, they'll need to go home and read the whole sermon, because it won't fit on a stone.